Xiaomi Redmi Y1 Price in Bangladesh & Full Specifications! Xiaomi brings a new smartphone in the Bangladesh mobile market, whose name is Xiaomi Redmi Y1. The smartphone comes with a 4 new colors, their name is Gold, Dark Grey, Silver, Rose Gold. If you want to buy a high performance Xiaomi smartphone in Bangladesh mobile market. First, check the Xiaomi Redmi Y1 Features and Specs. The Xiaomi smartphone Redmi Y1 has 5.5” inches IPS LCD capacitive touchscreen, 16M colors display and Protection by Corning Gorilla Glass 3. Xiaomi Redmi Y1 comes with powerful Qualcomm MSM8940 Snapdragon 435 processor with 3/4 GB RAM and 32/64GB ROM, which enough to run Android 7.0 Nougat Version. The Xiaomi Redmi Y1 power by Li-Ion 3080 mAh Non-removable battery with 13MP Back Camera and 16MP Selfie Camera with Flash Light. It has Dual SIM and both SIM are supporting GSM / CDMA / HSPA / LTE Technology. Release Date Announced: November, 2017. Status: Available. Released November, 2017. Colors Gold, Dark Grey, Silver, Rose Gold. Resolution & PPI 720 pixels X 1280 pixels & ~236 pixel density. Battery Li-Ion 3080mAh Non-removable Battery. Rear 13 MP Camera with LED Flash. The main important question of all the Bangladeshi Smartphone lover, what is the Xiaomi Redmi Y1 price in Bangladesh Taka. The Xiaomi authority all times tries to provide latest & high features smartphone in cheap price. The Xiaomi Redmi Y1 price in Bangladesh 11,490 TK (3GB RAM + 32GB ROM) and 13,490 TK (4GB + 64GB ROM). Thanks for staying with us a long time and visiting Xiaomi Redmi Y1 Price in Bangladesh and Full Specifications Content. 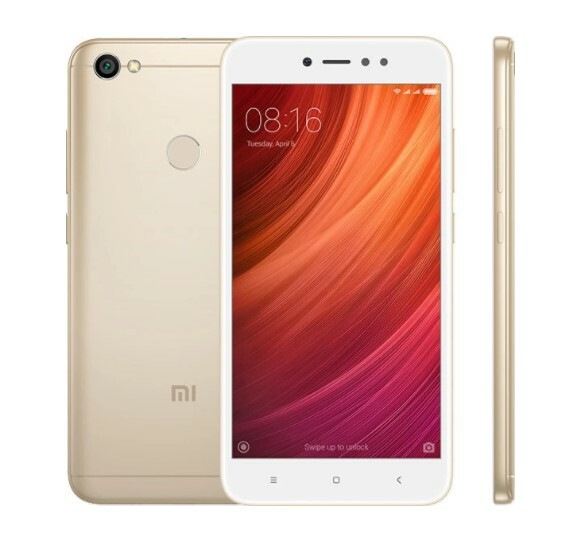 If you have any question about the Xiaomi Redmi Y1 BD Price? Just comment here. We reply as soon as possible.